Look at our range of education sign systems, for Universities, schools and colleges. The educational sector is one that spans across a large range of institutions including (but not limited to): primary schools, secondary schools, colleges and university campuses. Within educational establishments, it is extremely important to have accessible and coherent signage. Year on year, schools, colleges and universities continue to grow and expand with new buildings or entire campuses. From a single classroom to an entire campus, temporary information signage or long-standing signage, there is a sign system and type that can suit each place’s needs. Children, youths and young adults want to feel as though though they are in a secure and easily understood environment. When the day commences, large traffic flows of pupils and staff fill corridors and campuses throughout the UK’s educational buildings. It is absolutely vital that visual directional aid is given via the use of well thought out, uniformal, sign systems. 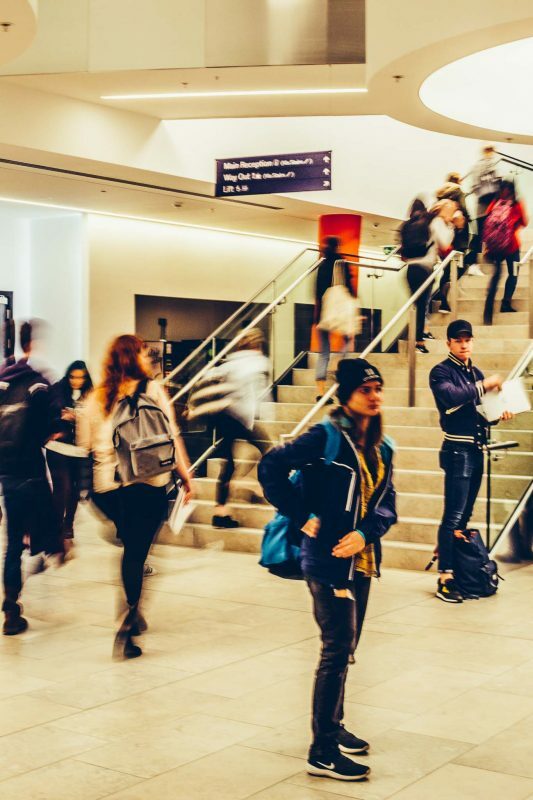 Furthermore, as educational establishments seek to attract the highest quality students, sign systems are an integral part of their trustworthy reputation and brand. DDA Compliant – All education signage supplied by Select Sign Systems is Dementia friendly and DDA compliant. It is of paramount importance that our signage is user friendly and usable for any educational organisation visitor, staff member or pupil. Sign systems are made to your specification. Practically any colours can be achieved with Pantone or RAL references, as well as more traditional silver anodised finishes (sign system dependent). Check the sign systems below to find which system best suits your education environment.